​from all three courses. Our usual classes don't have an audience like this! Community Music Connection is a nonprofit corporation based in Fort Worth, Texas, which is a 501(c)(3) tax-exempt charitable organization as determined by the Internal Revenue Service. 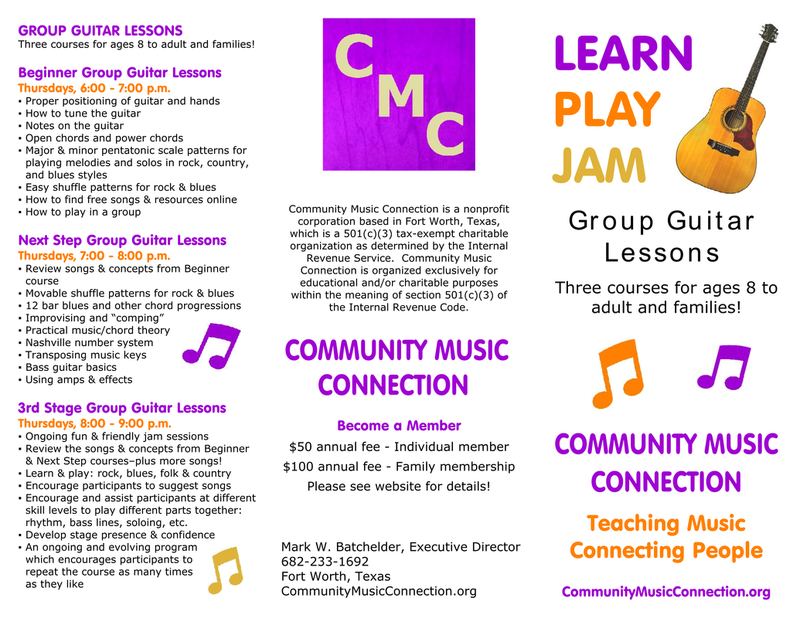 Community Music Connection is organized exclusively for educational and/or charitable purposes within the meaning of section 501(c)(3) of the Internal Revenue Code.